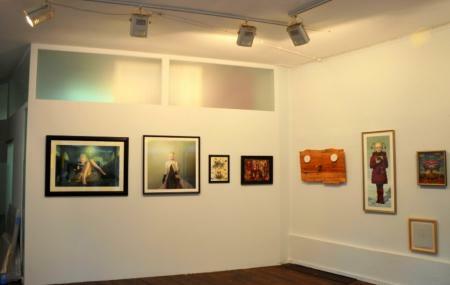 KochxBos Gallery was founded in the year 2005 by Esther Koch and Hans Bos. The gallery has no fixed artistic profile and so is open to all forms of arts. The gallery’s paintings are selected by the couple and they are always looking for fresh and new talents across the nation. The guardian listed the gallery in the top ten galleries in Amsterdam. The gallery has also won many awards due to its fine collection of art. Ask the authorities before taking photographs. Take a tram or bus from Amsterdam, Marnixplein. Very interesting surreal, and others style. Great Artists. Very weak by rejecting controversial art from the same artist as your main picture. Art must not be censored by a gallery. Top gallery, i love it!